Get Paid to Travel! Doesn’t that have a nice ring to it? Would you like to spend time on a beautiful island sipping cocktails? What about a Parisian get-away? How about skiing the best slopes in a “winter wonderland?” The best part is you might be able to enjoy these excursions for FREE. Grab your laptop, notebook, camera, curiosity and imagination, and get out into the world. 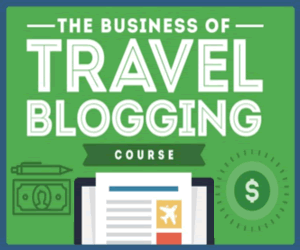 If you’re just starting out in travel writing, you may have to pay for adventures. Just think about all of the travel articles you can write. Travel writing can be a daunting way to pay for your travels. Money often comes after your travels. For example, the biggest and best magazines will pay “on acceptance.” This means you turn in a “manuscript” which absolutely thrills the magazine editor and you get paid. It comes down to “what can you do for me?” If a travel magazine or travel provider does not see any “paybacks” for giving you free hospitality or any other free stuff, it will not happen. This is where having impeccable “negotiation skills” can come into play. The bottom line is to get an “invite” from a travel provider. If you receive an invite, you can expect some great “perks” such as all expenses paid. You can always take a “road trip.” You can save some cash if you do not stay at a 3 or 4-star hotel. Just think of the freedom of the open road ahead of you. If you love travel and are open to adventures then travel writing is the profession for you. Travel writing can be exciting and take you to places that you never thought possible. You will meet interesting people while learning about different destinations. You may even become an expert on a certain travel destination. 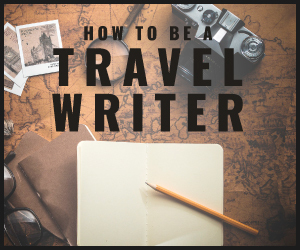 If you are passionate about travel writing, then you will make the money. Read books about travel writing, study publications, watch the Travel Channel, write about subjects that are of interest to you, write about unique subjects, and be professional. Also, make sure your work is well written and submitted on time.